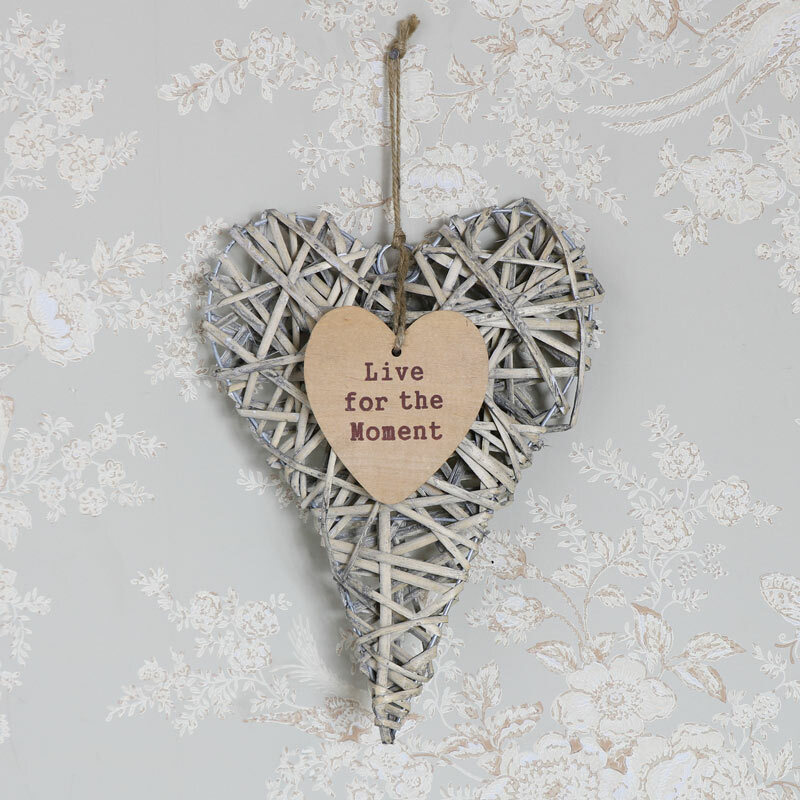 This pretty hanging wicker heart will add a wonderfully shabby chic look to your decor. Perfect for adding a decorative look to your home. Cleverly crafted with willow wicker shaped around a metal frame to create a heart shape. The heart features a hanging heart charm with the quote, 'Live for the Moment'. 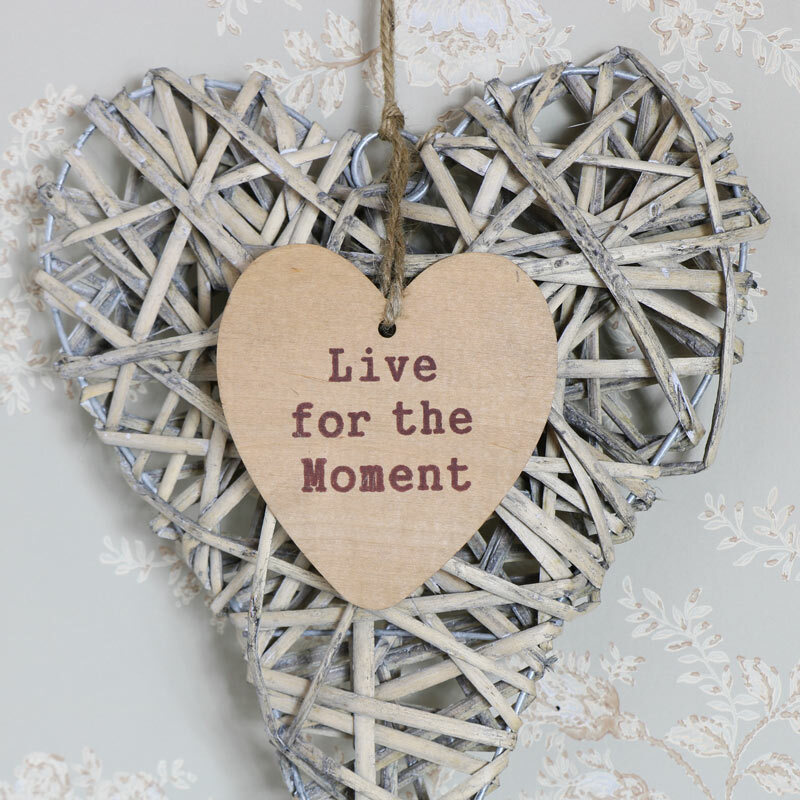 This pretty hanging wicker heart will add a wonderfully shabby chic look to your decor. Perfect for adding a decorative look to your home. Cleverly crafted with willow wicker shaped around a metal frame to create a heart shape. The heart features a hanging heart charm with the quote, 'Live for the Moment'. Made from willow wicker that is tapped and shaped around a metal frame. Lightweight design that is easily hung from a length of twine.